In case you hadn't heard, Netflix dropped the first trailer for Stranger Things 3 and it's oh-so-goooooood. You can watch and then read all about it here if ya like! 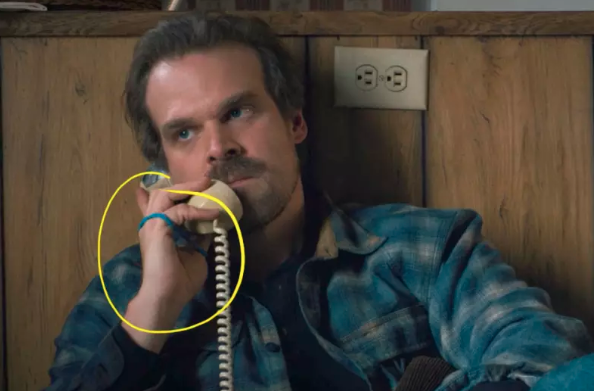 But they also dropped a few production stills and I noticed a key detail that made me an emotional wreck all over again — I'm talking about THAT blue hair tie Hopper gave Eleven. If you don't know the backstory, here's a quick refresher! Back in Season 1, you may recall the revelation that Hopper's daughter Sara died some time before the show started. 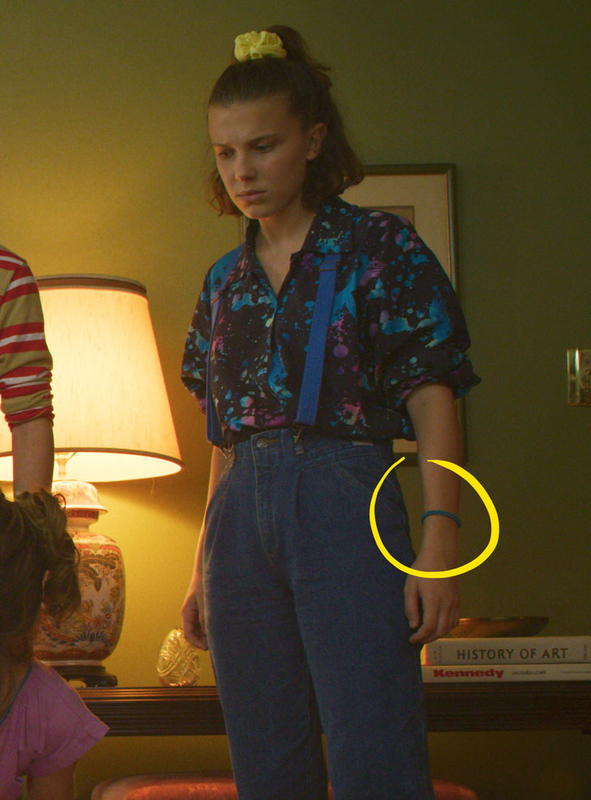 Throughout flashbacks, however, there was a very small and heartbreaking detail: Hopper wore Sara's blue hairband both when she was sick (and lost her hair) and then even after she died. It's never something that the characters talk about on the show, but this prop accessory subtly pops up at very emotional times. 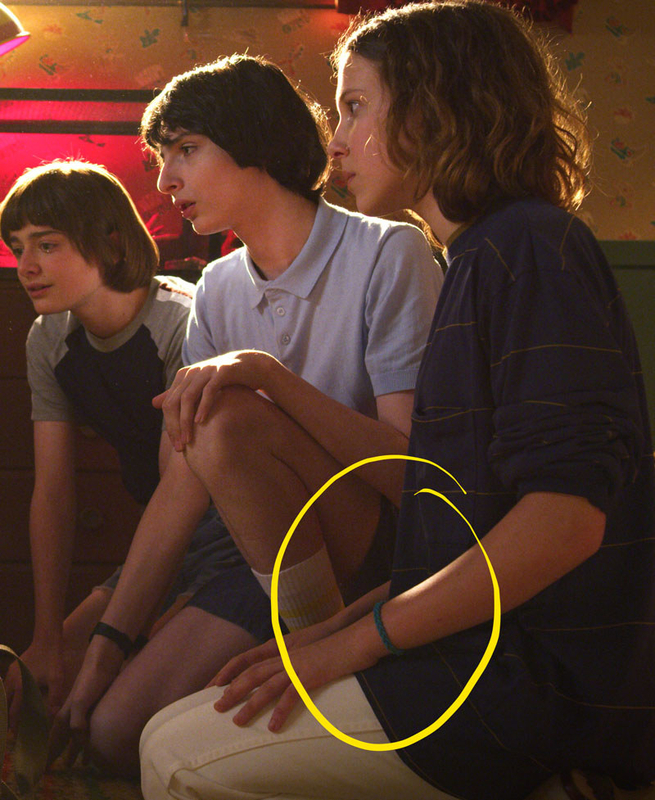 Then, in Season 2, Hopper (off-camera) gave Eleven Sara's hairband/bracelet, she wore it to the Snow Ball, and we all cried. 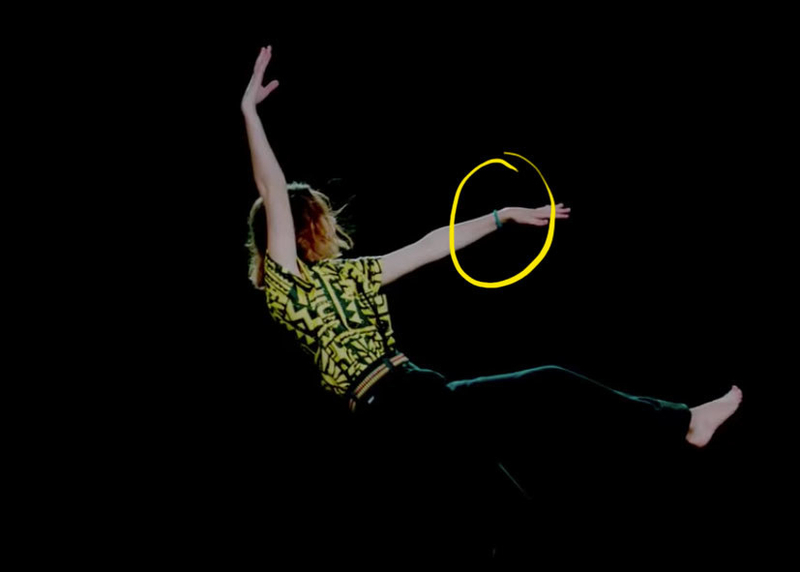 You can read more about the hairband in detail here, if you like! This emotional connection between Hopper and Eleven, of course, was no surprise seeing as he's basically made it his life's mission to protect her and literally adopted her at the end of Season 2. 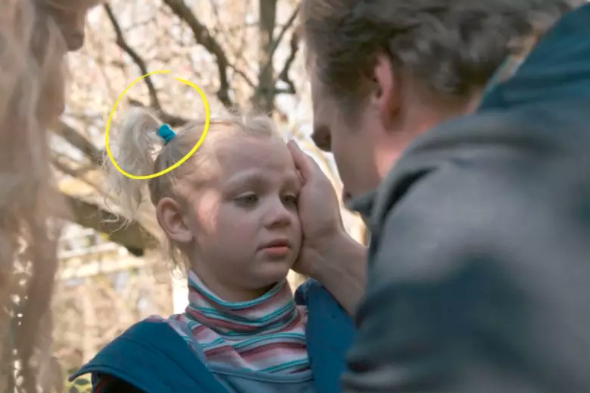 And now that you know the backstory, I have good news for you sentimental fans like me — in Season 3, Eleven STILL wears Sara's hairband that Hopper passed on to her. 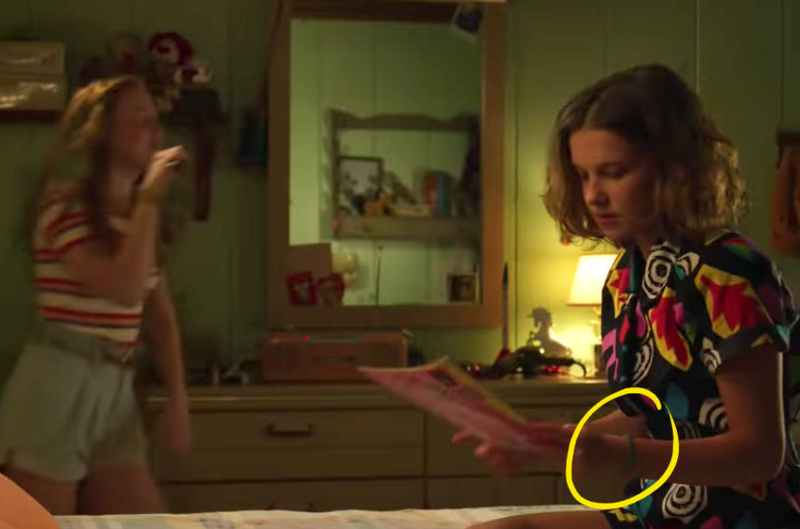 Hopper and Eleven's budding father-daughter relationship will likely be a central storyline in Season 3. In fact, there's a moment in the trailer where Hopper emotionally says to someone, "It is important to me that you feel safe. I want you to feel like this can still be your home," and I get the feeling he's saying this to Eleven. I know the way the trailer is cut, it looks like he's saying it to Joyce, but I just have the sneaking suspicion that's not who he's actually talking to here. One of the fun things moving forward in terms of this new family we have with Hopper and Eleven — and the fact that she's becoming a teenager and a young woman — is I think that is going to be infinitely complex and f----- up for Hopper. I don't think he knows how to handle this at all. The fun thing about the dad aspect of Hopper is going to be how he handles a teenage daughter and her relationship to a boy like Mike. There may be that conversation where he has to sit Mike down and be like, "Sit on the couch — what are your intentions with my daughter?" That scene may be coming in season three. I would relish that, because the amount of difficulty it'd take for Hopper to do that is going to be pretty hysterical. So, get ready for an emotional rollercoaster, y'all!